The National Adaptation Forum is hosting their annual climate adaptation conferencein Madison, WI, drawing in leading voices and experts from across the country. They’ve invited us to run an idea hackathon alongside the conference! Motivated students and professionals of any age or background should join. We’ll create innovative ways to drive adaptation for climate change. We’ll then pitch ideas to the conference attendees and vote on the most impactful concepts. This event is free to attend. Spots are limited. Prizes will be awarded! 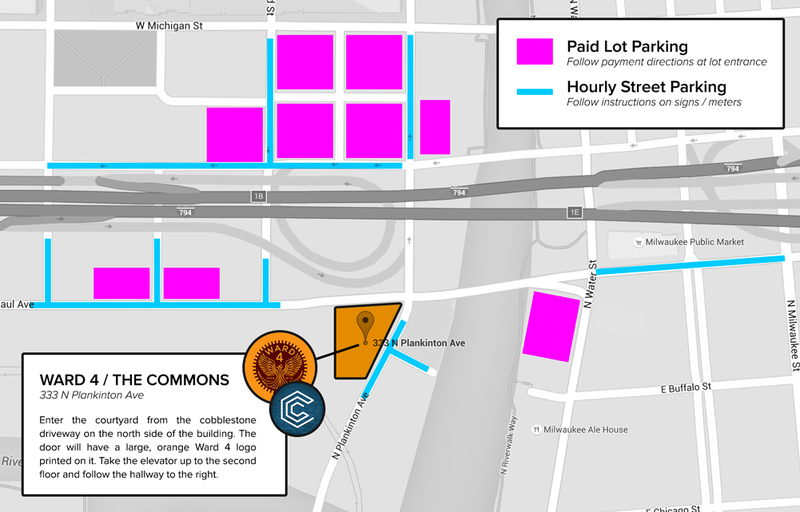 Folks from Milwaukee: we have a bus leaving from the Global Water Center (247 Freshwater Way) at 10:45am. There’s a free parking lot nearby for your car! We’re going to come up with ways to build more resilient communities, ready to adapt to climate change. You’ll explore new technology, utilize human-centered design thinking and practice strategic disruption. You’ll do all of this on a cross-functional team of other talented people from across the region and get guidance from a variety of mentoring professionals. OKAY, I’m sold - sign me up! Ex: "I'm a UW Madison student studying industrial engineering" or "I'm a Milwaukee professional working as a project manager at Northwestern Mutual"
Will you need to reserve a spot on the bus from Milwaukee? The bus will leave promptly at 10:45am from the Global Water Center (247 West Freshwater Way). Free parking is available there. Thank you! This is confirmation that we've received your application and will be in touch via email within the next few days. For any questions, please don't hesitate to reach out! THIS IS IT! Join local professionals and community leaders in celebrating the hard work of the student groups in our Spring Skills Accelerator program. Spots are limited. Register here! … AND MORE IN 2019!